In the burgeoning Los Angeles of the early 1900s, feisty lawyer Kit Shannon takes on the most difficult cases, her uncompromising pursuit of truth and justice often placing her in mortal danger. Thrilling courtroom drama at its best! 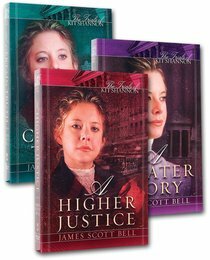 About "Trials of Kit Shannon (Three Book Pack)"
books currently available. Jim lives in Los Angeles with his wife, Cindy.